Spring is a time when many tasks that have been left undone during the dark drab months of winter are completed. One of those can be tending to your loved one’s memorial; this may mean getting a new one altogether, cleaning the headstone and urn, leaving fresh flowers and clipping the grass around the edges. Cemeteries are nice, colourful and fresh in the spring, with flowers blooming to brighten up weather beaten gravestones. The grass is freshly cut and days are longer and brighter, everything just looks so much tidier and neater. This is exactly what the Victorian landscapers had in mind when they designed the cemeteries where our loved ones are remembered today. In today’s less God fearing, it has also created an ambiance where cemeteries can be places where the lives of the deceased who rest there can be celebrated rather than mourned. 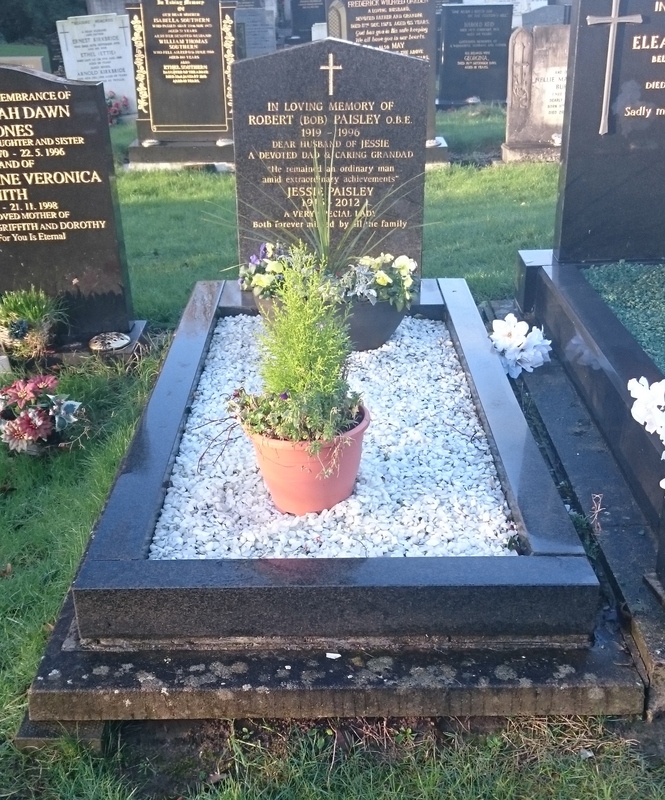 If you’re loved one’s grave remains without a heads tone, spring is the perfect time to have a new one installed as the ground is much more settled and firmer than in the winter. If the memorial is being fixed to a concrete base, then it is always advisable to install this during seasons when frost and heavy rain are less likely. 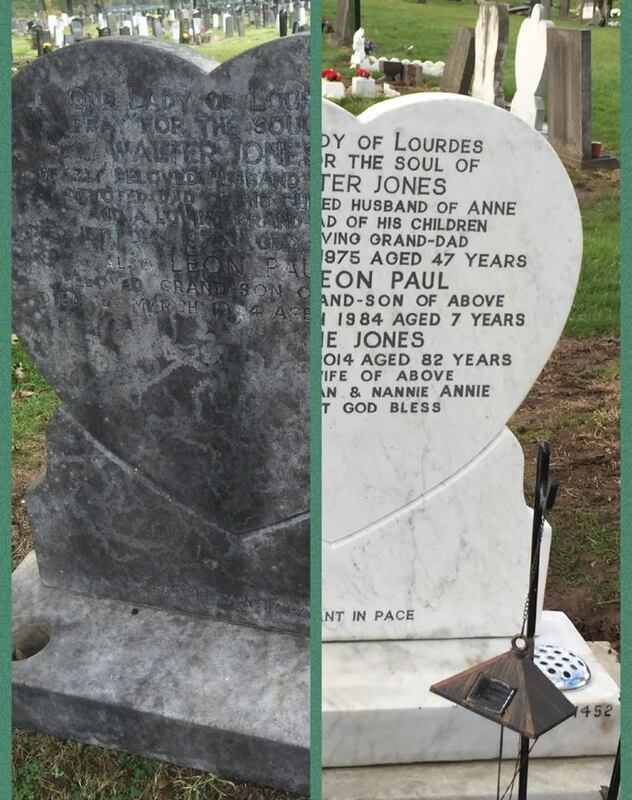 The conditions in spring are also much more suitable for refurbishment of existing headstones, whether it be removing them to inscribe new lettering, or fixing a new ground anchor. 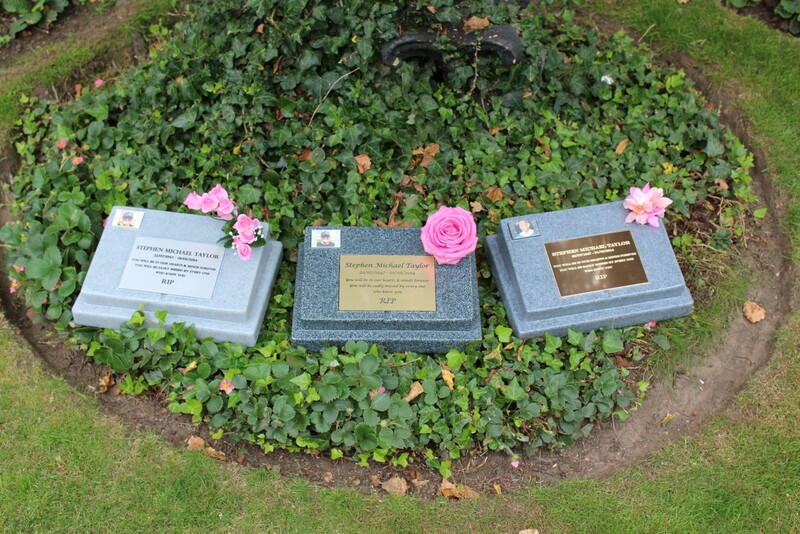 Sarsfield Memorials provide a range of options for new headstones and refurbishment of existing ones. If you require a new standard headstone then we can usually have these installed within six weeks of you placing an order, so late February/early March is an ideal time to consider having one that will be ready in April. If all you need is for an existing gravestone to be cleaned up, this can usually be done sooner. We also provide grave tending services if you are unable to get to the cemetery yourself due to time, distance or health constraints. Please contact us and we will be happy to discuss your requirements and provide a free no obligation quote. 14th February 2016 marks the twentieth anniversary of the death of Bob Paisley, the most successful manager in Liverpool Football Club’s history. The former bricklayer from Hetton-le-hole in county Durham came to Liverpool as player in 1939 and never left. After retiring from playing in 1954 he took up various backroom roles before being appointed manager in 1974 following the retirement of Bill Shankly. In just nine seasons as manager Paisley won six league titles, three European Cups, one UEFA Cup and three League Cups. His achievement in winning Europe’s highest prize on three occasions was not matched until Carlo Ancelotti in 2014, although Paisley remains the only manager to do it with the same club. Despite such successes, Paisley wasn’t comfortable in the limelight and liked nothing more than to play with his grandchildren or call into a garage on the way to training for a cup of tea and pick some horses from the betting pages of the papers. After handing over the managerial reins to Joe Fagan in 1983, Paisley enjoyed a spell of retirement but was persuaded to return for a season in 1985 to help newly appointed Kenny Dalglish, who was still playing as well. He then took up a boardroom role until ill health forced him to leave the club altogether in 1992. Paisley shares the churchyard with some graves of the Earle family of Allerton Tower, who were not so humble. They moved there in the early nineteenth century after selling their Spekelands estate in Edge Hill. In 1869 Hardman Earle was made a baronet, a peerage that could be passed down through the generations. He died in 1877 and his son Sir Thomas Earle, who died in 1900, described himself as a ‘baronet and merchant’ in the census of 1891. They decamped to Cheshire in the early twentieth century and Allerton Tower was demolished in the 1930s, the land being one of Liverpool’s lesser known parks. It is fair to say that the vast majority of visitors to St Peter’spass the Earle graves without giving them a second glance. Many Liverpool fans come to see Paisley’s graves but the church welcomes many more Beatles fans, the graveyard being the final resting place of somebody immortalised in one of their songs, Eleanor Rigby. If your loved one has been cremated and you have not had the ashes interred or scattered at a cemetery or in their favourite place, a memorial casket for the home or garden is an option for you. Caskets are portable and can be taken with you if you move home. As well as being used for storing the ashes, it is not uncommon for other personalised items to be added too. In fact, they don’t actually have to contain the ashes, but could instead have a lock of hair or piece of jewellery for in stance. They can be made from a variety of materials, including wood, cardboard, ceramics and glass. Working in conjunction with Liverpool company Greener Memorials, Sarsfield Memorials can provide eco-friendly memorial caskets for an affordable £195 that can be situated either inside or outside the home. These caskets are large enough to hold the ashes, but are still small enough so as not to overwhelm the room or part of the garden where they are placed. Made from eco-friendly materials that leave a low carbon footprint, please note they are not natural stone. The caskets are durable against the elements and have the look of granite but not the weight so are easy to carry. In addition to the space for storage of the cremated remains, they come with a personalised plaque, ceramic photograph and flower holder. Available in a range of colours, they provide a fitting tribute to your loved one and are delivered in a beautiful presentation box. If the memorial is for the garden, stainless steel ground pegs are included for securing it to the ground. These are easy to remove should you wish to move it to another part of the garden or you move home. If you prefer to keep the casket indoors, it also comes with four studded feet. Please contact us and we will arrange for a representative from Greener Memorials to speak with you. We can usually have your casket ready within fourteen days of placing your order, although if you are ordering from abroad please allow twenty eight days for delivery. February 8th 2016 is the twentieth anniversary of the death of Archbishop Derek Worlock. From 1976 to 1996 he was the highest ranking Catholic churchman in the Archdiocese of Liverpool, which also covers the Isle of Man and parts of Cheshire, Lancashire and Greater Manchester. Worlock, at whose Woolto n home Pope John Paul II stayed when he visited the city in 1982, was still in office when he died of lung cancer. He was in Liverpool at a time when the city was faced with the Toxteth Riots and two great tragedies; Heysel and Hillsborough. The 1980s were also a period of severe economic downturn and Worlock worked with his Anglican equivalent, David Sheppard, to deal with the challenges. They co-wrote two books, Better Together and With Hope in Our Hearts, and were jokingly referred to as fish and Chips as they were always together and never out of the papers. Worlock’s tomb is situated in Liverpool’s Metropolitan Cathedral of Christ the King and he is the only archbishop to be entombed in the main building. His predecessor George Beck’s tomb is underneath in the Lutyens Crypt, built in the 1930s and the only part of what was planned to be the largest church in the world outside of Rome to be completed. Beck died in 1978 and the Chapel of Relics where he is entombed is closed by the Rolling Stone Gate, signifying the stone which was placed over Christ’s tomb. John Heenan, who preceded Beck, is not buried in Liverpool. Having left to become a cardinal in 1963, he is buried in Westminster Cathedral, England’s de facto main Catholic church. The Chapel of Relics also contains the tomb of two other archbishops; The first is that of Thomas Whiteside, who was elevated from bishop to archbishop in 1911 wh en Liverpool became an ecclesiastical province. He died in office in 1921 at the age of sixty three. The other is that of Richard Downey, who oversaw the building of the crypt and had envisaged that the ultimate construction would have a great figure of Christ on it that would be seen for many a mile out at sea. He died whilst still in office in 1953, having served for twenty-four years. At the Liverpool Roman Catholic Cemetery in Ford, Litherland, there are a number of graves of prominent Catholic churchmen from Victorian times. One of those is Liverpool’s second bishop, Alexander Goss, who took up the position in 1856. He studied in Rome and was a Vice-president of St Edward’s College in Everton, where he died suddenly in 1872 at the age of fifty-eight. The college, which is now situated in West Derby, was founded in 1853 by Father James Nugent. He was a pioneer of child welfare, poverty relief and social reform. At a time when only 5% of Catholic children received an education, he also founded a school in Rodney Street as well as the Liverpool Catholic Children’s Protection Society. He was also the first Catholic chaplain to Walton gaol and sat with many a condemned prisoner in their final hours before being hanged. Nugent died at the age of eighty-three in 1905, having suffered a head injury during a fall on a liner returning from America. Like Goss, he is buried at the cemetery in Ford and his legacy lives on in the Nugent Care Society, the present name for the society he founded in 1881.